Is your home scheduled for crawlspace encapsulation in Baltimore ? If so, then continue reading to learn what you can expect from this process. To begin the crawlspace waterproofing process, a contractor will come and inspect the area. During this evaluation, he examines your crawlspace for weak points that may allow water to get in and will then provide you with any recommendations that he may have. Once the inspection is complete and the contractor has gone over your options and his recommendations, you can choose to go ahead with the encapsulation process. If you decide that crawlspace waterproofing is right for your home, a team will arrive at your home on a prearranged date to encapsulate the area. The first step in this process is to install a vapor barrier. To do this, the team covers the room’s walls with a transparent plastic material that is tough and long lasting. The plastic is then sealed in place and a drainage mat is laid on the ground to protect the plastic by providing a drainage path for any moisture that gets beneath it. Then, more plastic is placed over the drainage mat. All the plastic is placed so that any separate pieces overlap by a foot or more, and the seams are then sealed close with waterproof tape. Once the vapor barrier is in place, the team begins the installation of insulation. The walls and the door are covered with an insulating material to help seal out any external elements. The team also ensures that the door is airtight at this stage. 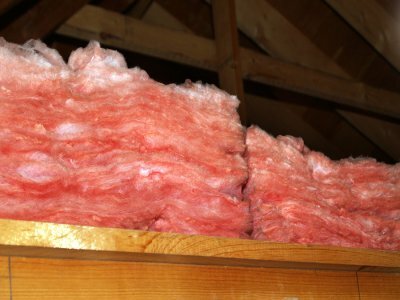 The final step in the crawlspace encapsulation process is to condition the air, which is necessary because the room is now sealed off from both the outside and the rest of your home. There are a few ways in which this part of the process can be completed, with the optimal choice being crawlspace dehumidifier installation, which helps ensure that the room doesn’t become too humid. Once a system for conditioning the air is in place, the encapsulation process is complete.